Everton welcomed Darron Gibson, who moved to Everton from Man Utd for a total fee which may rise to about 2 million pounds. Some Everton fans have been skeptical of him, but it must be remembered that Arteta was in the reserves in Sociedad and Pienear was sidelined by Dortmund before they joined Everton. We all know how successful they were with us. So, we will never know how a player may be when they join us. Moyes has the tendency to get the best of the player. Gibson's debut against Villa was encouraging and he may just be the catalyst to propel us up the table. Welcome to Goodison. 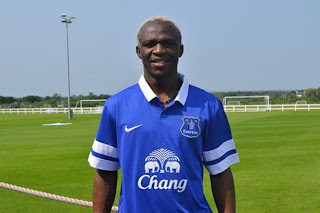 You are now an Evertonian, now!